Submarine Thetis in 1938. Photograph in the collection of Henri le Masson. 75 mm/34.5 Model 1928 gun in SMCA Model 1928 Mounting. Sketch in the collection of Robert Dumas. 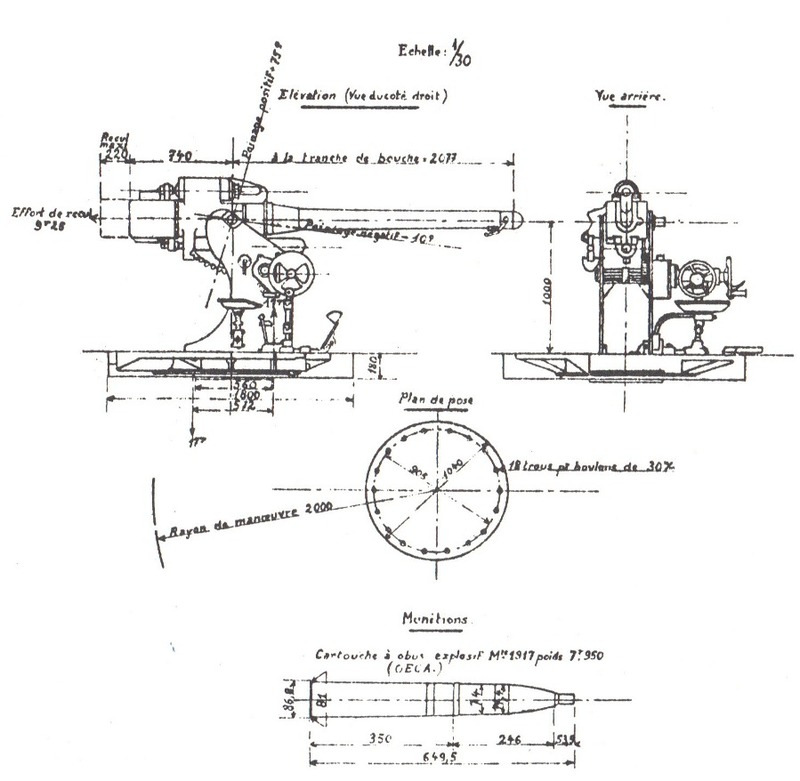 A light AA weapon used on coastal submarines. Fired fixed rounds. I have been unable to determine the differences between the Model years, but I suspect that they had to do with the mountings. Actual bore length was 34.5 calibers. ^SAP was intended for use against surfaced submarines.